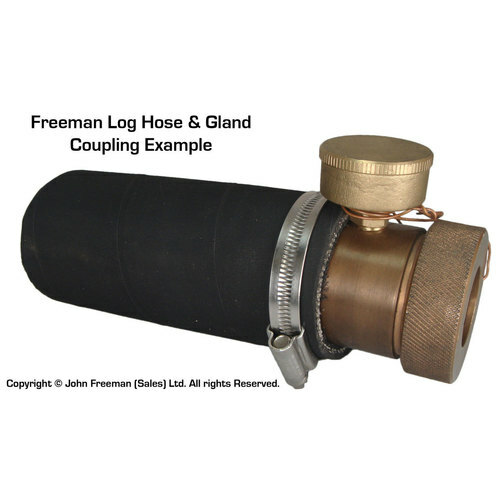 The Freeman log hose is the flexible coupling found between the shaft log and shaft gland on many Freeman Cruisers. 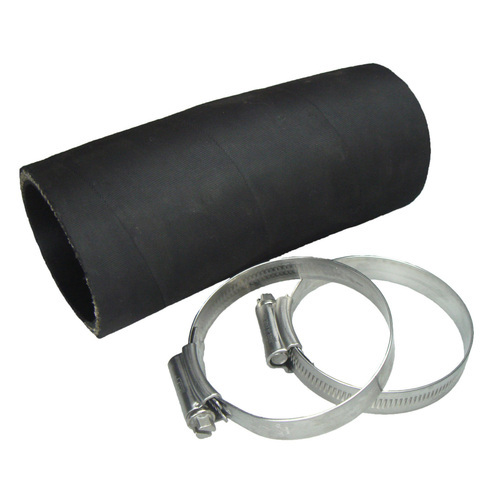 The log hose provides a flexible dampner between these two parts avoiding friction and ware that would arise with contact over time. With the propeller shaft running up through the shaft log (which is bolted into the bilge) all the way to the shaft gland and up to the shaft coupling; a rubber dampner is crucial for protecting the more expensive hardware - the log hose provides this. 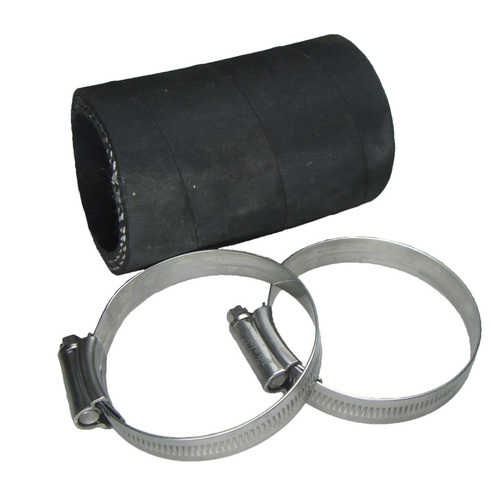 The maintenance of the log hose is therefore critical to the smooth operation of the shaft assembly. Unfortunately, over time, the log hose can deteriorate, usually going soft and soggy and eventually breaking up - leading to water pouring in through the, now open, shaft log. Unfortunately, the state of the bilge, for example the oil and grease that builds up, causes the log hose to deteriorate - this deterioration is accelerated if bilges are left dirty and full of water - therefore cleaning the bilge is a good idea! It is best to change the log hose before it becomes urgent. This job should be planned ahead and undertaken when the boat is out of the water - planning the job early obviously saves an additional pullout charge. Log Length 4" 6" 4"
Shaft Diameter 1" 1 1/4" 1 1/4"
Please note: Although these are the usual shaft log hoses found on the Freeman Cruisers and generally speaking the correct sizes for the model, shaft & engine installation. However, during the manufacture of the boats the construction process does allow for slight variations over time. Please contact us if you are unsure as to the suitability of these log hoses for your boat, we maybe able to cut custom lengths if required. Stern gland and accessory parts not included.